Bright particle accelerators; fast FELs; particle beams. The High Energy Accelerator Research Organization (KEK) has reached a major milestone in the world’s most luminous or brightest particle accelerator. 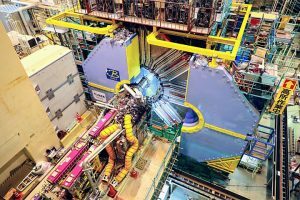 KEK has recently made the first physics run in the SuperKEKB, a storage ring that combines an electron-positron collider with a new and advanced detector. Electron-positron collisions have restarted at the SuperKEKB collider. A giant detector, dubbed the Belle II, has begun collecting data. The Belle II detector is 10 meters wide, 10 meters high and weighs 1,500 tons. The detector was designed by an international collaboration of over 750 physicists from 25 countries. Belle II and SuperKEKB are known as a Super B facility. The storage ring system and detector are designed to explore and measure rare decays of elementary particles, such as quarks, tau leptons and others. All matter is made up of atoms. Atoms have a nucleus, which has protons and neutrons. These are surrounded by electrons. Protons and neutrons are made of sub-atomic particles called quarks. A lepton is an elementary particle of a half-integer spin. 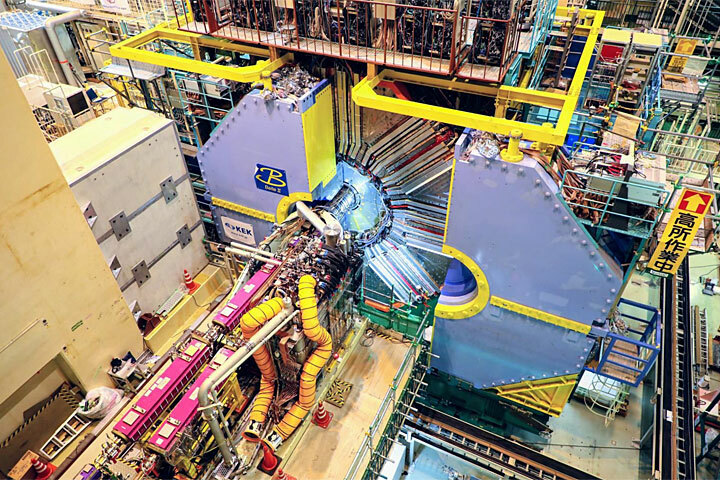 The SuperKEKB is different than the Large Hadron Collider (LHC) at CERN. The LHC is the world’s highest energy hadron accelerator. In contrast, the SuperKEKB is designed to have the world’s highest luminosity. This is a factor of 40 times higher than a previous machine at KEK. The previous system, dubbed the KEKB collider, ceased operations in 2010. 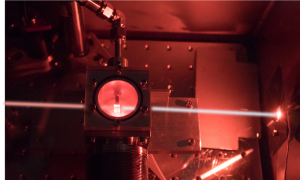 The Deutsches Elektronen-Synchrotron (DESY) group has set the world’s record for an ultraviolet laser pulse with the shortest duration. Using a free-electron laser (FEL), DESY has generated a 1.9-femtosecond ultraviolet laser light pulse. A femtosecond is a millionth of a billionth of a second. According to DESY, the previous record was 2.8 femtoseconds. DESY’s technology, in turn, can be used in the field ultrafast molecular spectroscopy. This metrology technique is used to study photochemical reactions of materials. Traditional lasers fire electrons that are bound to atoms or molecules. In contrast, a FEL fires electrons through a long magnetic structure. An FEL is tunable and ranges in various frequencies. They are used for advanced spectroscopy and other applications. DESY achieved the record at the Center for Free-Electron Laser Science (CFEL), a cooperation between DESY, Hamburg University and the Max Planck Society. The FEL covers the spectral region between 210nm and 340nm. There are some challenges. For one thing, it’s difficult to obtain ultrashort ultraviolet pulses. This is due to the high dispersion of light in this spectral region. To solve the problem, DESY utilized a frequency up-conversion process of 5-femtosecond infrared pulses in a high-pressure laser-fabricated gas cell located in vacuum. “By further optimizing the geometry for the pulse generation, we could even push the duration down to attoseconds (1 attosecond is a billionth of a billionth of a second), a duration that is typically achieved at higher photon energies,” said Francesca Calegari, a scientist at DESY. The U.S. Department of Energy’s Fermi National Accelerator Laboratory recently broke ground on a new particle accelerator. The new 700-foot-long linear accelerator is part of the laboratory’s Proton Improvement Plan II (PIP-II) project. When complete, the new system will improve what is already the world’s most powerful particle beam for neutrino experiments.